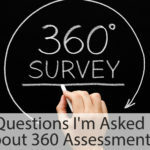 I have had several recent conversations that raised questions about 360 Assessments. Really, more than questions, these were concerns people had or have heard about the use of, and implementation of leadership assessments. While you may not share these concerns, they are real to the people who have them. In some cases these concerns are based on past direct or indirect experience and therefore are even more powerful. Perhaps most importantly, these concerns can become organizational “truths,” affecting the use and effectiveness of these powerful tools in the future. If you have any of these concerns, I hope this post is helpful in understanding your perspective and perhaps broadening it. 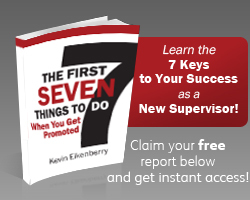 If you don’t read on, because it is likely that some one those you work with might have these concerns and you ability to understand their perspective will be helpful you try to influence them to use this very valuable leadership development tool. Concern: I’m afraid of the feedback I might receive. Answer: Feedback can be scary (or at least the thought of feedback can be scary). But let’s consider the two basic situations. 1. The feedback you receive is negative or hard to hear. If this is true, the fact is that people are feeling and observing what they shared in the assessment, whether you know it or not. When you know it, you can do something about it, but when you don’t, you can’t. 2. The feedback is generally positive. If this is the case, you have nothing to worry about – and you still can operate from the knowledge of your strengths to become even more effective. The short answer is . . . you can’t use knowledge you don’t have, and a 360 assessment process can help you gain that knowledge in a safe and useful way. Concern: I’ve heard the process is confusing. Answer: 360 Assessment processes can be a bit involved, but most (including ours) are well administered and managed online. This allows you to pick your raters, give your list to the administrators and everything runs smoothly from there. This process allows all of the assessments to be done online, and therefore all of the feedback remains anonymous. So the good news is that the hardest part of you is deciding who to have assess your skills. The rest, while a bit complex, shouldn’t be confusing for you at all! Concern: I’ve done it before and it wasn’t helpful – in fact it was a negative experience. Answer: First of all, I am sorry that you had a negative experience with this process. Anything that has a personal feedback component to it that doesn’t end up being helpful – or causes pain without any opportunity for better understanding or improvement – is going to be negative. 1. A well designed tool and reporting process. 2. A well trained and skilled coach to help people both understand the report and create a valuable action plan. 3. An external or far-removed coach. In most cases, the coaching will be best done by an external person, or by an internal person far enough away from the participant to provide perspective and focus on the results, rather than factoring in personal bias. This mistake is often the cause of negative experiences with 360 assessments. 4. A clear understanding by the participants of the purpose of and value of this tool – before the start of the process. People need to know how the tool will help them and how it will work. Reducing anxiety at the front end of the process will alleviate some of the fear and misconceptions. 5. 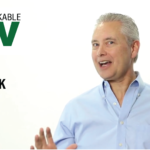 Make the tool about performance enhancement or improvement, not a part of the performance appraisal process. While those assessed should be encouraged to share their results with their supervisor or manager, their results and their action plan should belong to them personally, and not become a formal part of some other process. This mistake is another cause for widespread problems and negative experiences. I’m sure there are other concerns, as I hear them, I will write about them. If you have one, please share it as a comment to this post and I’ll respond! No tool or process is perfect. 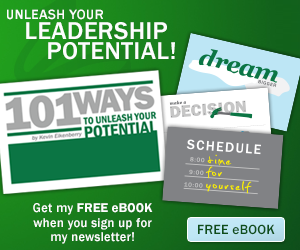 Having said that, I believe that administered and coached to effectively, a 360 leadership assessment is a extremely valuable tool to help leaders at all levels become more successful and effective. If you would like to learn more about our 360 assessment tool and process, email us (info@kevineikenberry.com), or check out the Remarkable Leadership 360 Assessment process. I would like to better understand why don’t feel these results should be part of the performance appraisal process. 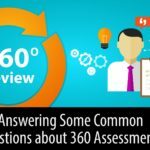 These 360 assessments are very valuable tools to gain insight into how effective a leader is at leading their organization and also working with their peers. I believe both of those perspectives should go a long way in accurately assessing a leader’s true performance. Many performance review systems only reward results and don’t have any mechanism for rewarding/measuring how those results were achieved. One of my greatest fears as a leader is to promote the wrong person. I want the person who values both results and relationships as Ken Blanchard has described and not the results at all costs person. The 360 helps me gain that insight. Thanks for your comments Steven – Agree with your assessment – 360 results are completely consistent with the overall performance of the leader and those items – especially the actions taken and results achieved as a result (in other words, not just what the finding were, but the application and progress from it)- make sense to a part of the performance process.